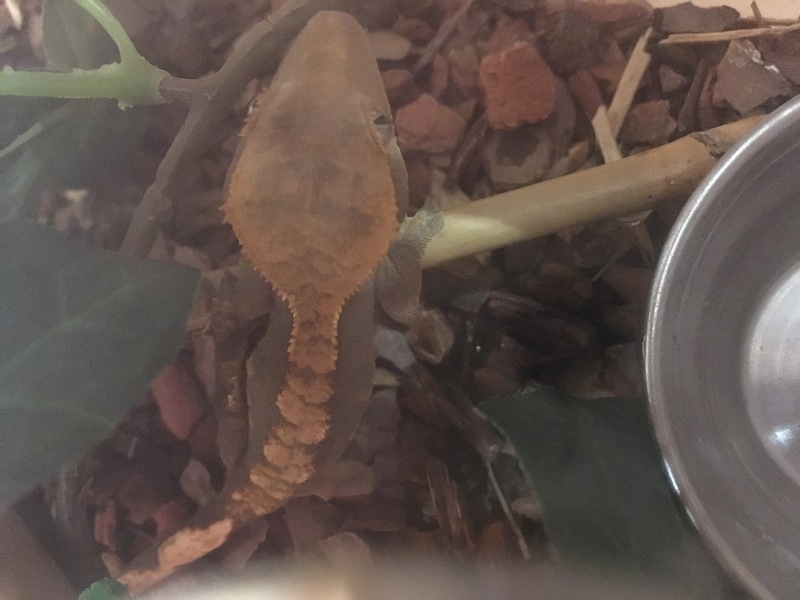 I have for sale a stunning looking crested gecko that looks to be female at present but bumps and pores sometimes come through late so selling as indexed at the moment. 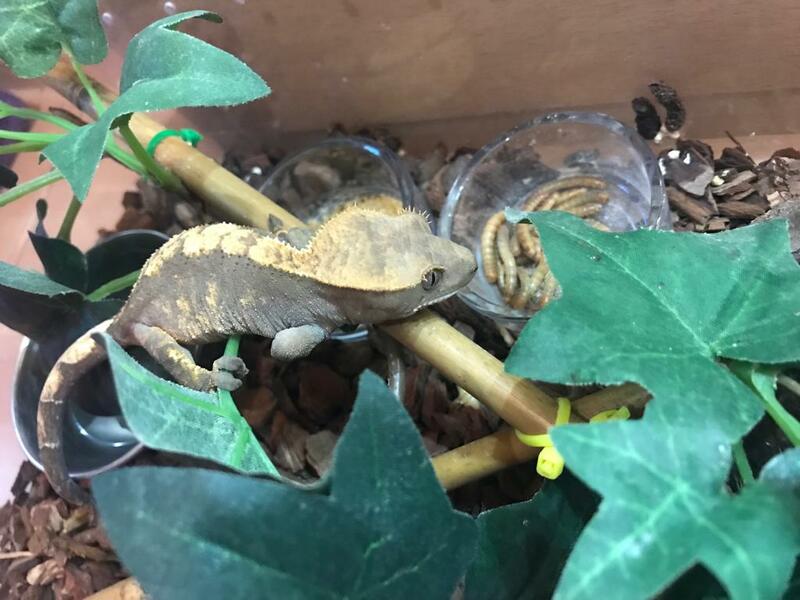 The crested gecko is a very pretty looking gecko that goes from a creamy/brown/orange/ yellow colour to an amazing mix. 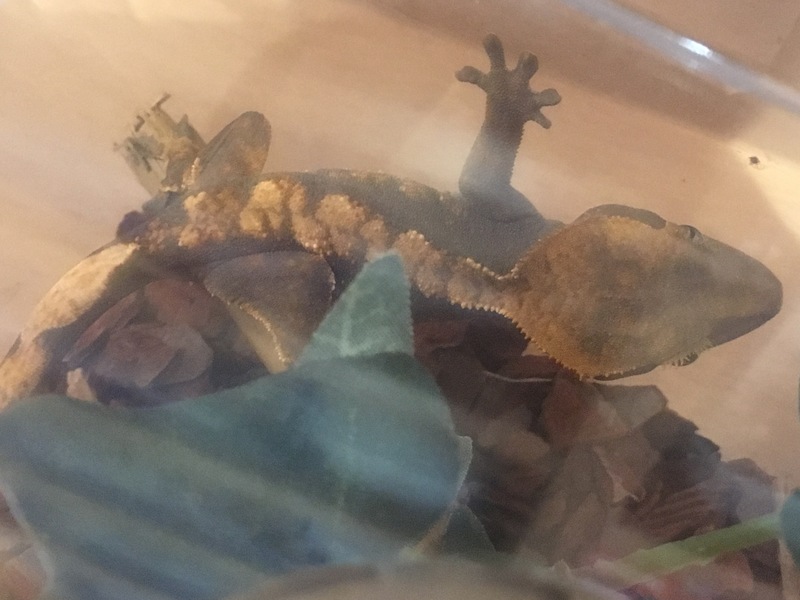 The crested gecko is being fed on repashy dried food/crickets and is eating/poohing and shedding extremely well. About 6 1/2 months old.